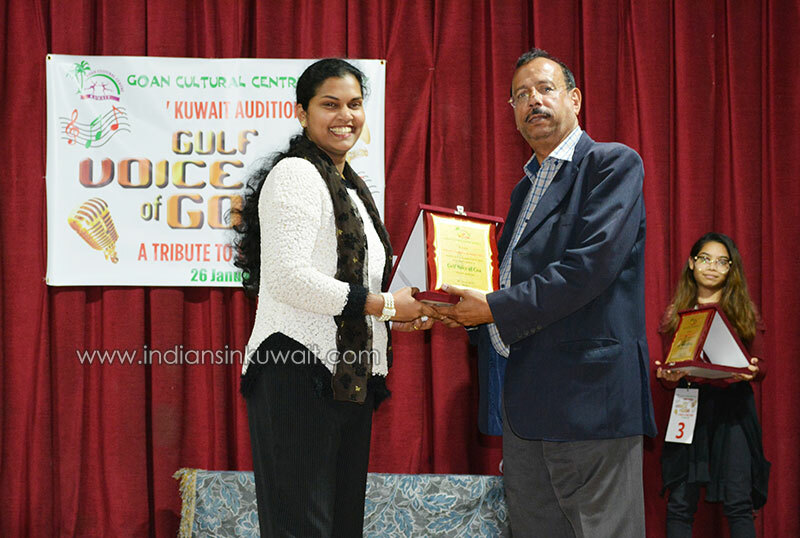 Zelia Rodrigues and Romeo Braganza were adjudged best female and male finalists from Kuwait winning the closely-fought auditions for Gulf Voice of Goa (GVOG) organized by Goan Cultural Centre held recently at the Indian Community School, Khaitan. Zelia and Romeo will now represent Kuwait at the 1st Gulf Voice of Goa Konkani singing competition to be held at Khaldiya University, Kuwait on 22nd February 2019. The much-anticipated evening began with a short prayer, followed by keynote address and introduction to the evening by compere Gasper Crasto. Welcoming the gathering, Goan Cultural Centre president Shri Carmo Santos wished good luck to all the contestants and encouraged them to give their best performance. He later stated that the contestants were judged on their performance and not on their reputation, previous performances or any other reason. A panel of 4 judges comprising of Dennis Gonsalves, Fidelis Fernandes, Agnes Rodrigues and Maestro Soccor de Mello evaluated the singers. Each singer sang 2 songs – one on music and the other on metromix. 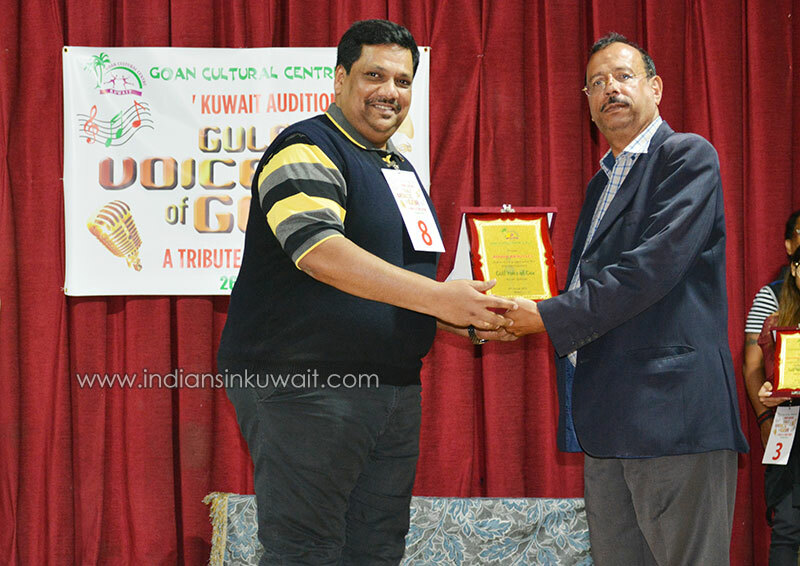 GULF VOICE OF GOA is a Konkani singing competition scheduled to be held in Kuwait on 22nd February 2019 at Khaldiya University Auditorium. The competition is open for Gulf residents of Goan origin aged 16 and above. 2 participants from each country will sing at the Grand finale that will see the crowning of best Gulf Goan male and female singers. A number of gifts, trophies, and cash prizes are expected to be awarded to the participants and winners. 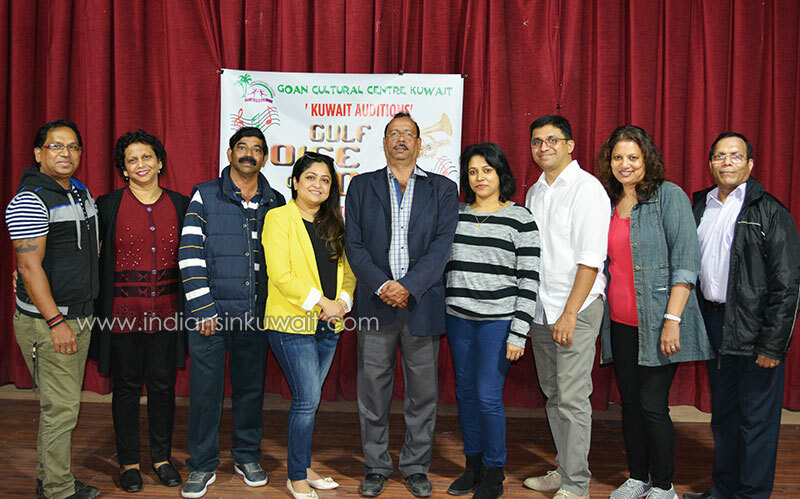 The event is supported by well-known Goan NRIs in the Gulf - Mr. Carmo Santos, Agnello Fernandes and Bosco Leitao (Kuwait), Simon D’Silva (Doha Qatar), Gabriel Crasto and Francis Correia (Bahrain), Gabby de Chandor (Dubai), Anthony Lourenco (Muscat) and Joe Fernandes (Saudi Arabia).